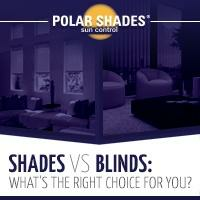 Polar Shades is proud to offer a variety of manual and motorized control options for your window shades and awnings. Interior manual shades utilize a clutch system. A bead chain operates on a continuous loop, allowing users to easily open and close the shade by simply pulling on the chain. 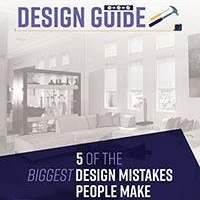 We focus on easy usability. We house a number of different clutch sizes, which allows us to ensure any shade, no matter how small or large, can be lifted with little effort. Our interior manual shades are available with a fascia option. We offer five standard fascia colors. You may also choose to customize your fascia, fabric valance or have it fabric wrapped. We offer L-shaped fascia in 3″ to 7″ options, as well as a curved cassette configuration. Clutch system – Operates using a bead chain on a continuous loop; best for light-duty exterior shades. Manual crank system – Operates using a worm gear. A crank wand is inserted into an eyelet that raises or lowers the shade depending on the direction in which the crank is rotated. Motorized window shades amplify the comfort and convenience of our Polar Shades products. With the simple click of a button or trigger of a sun sensor, our window shades optimize our customers’ lives, providing simplicity and enjoyment. Motorization eliminates the problem of hard-to-reach cords and instantly enhances a home’s privacy. With today’s technology, motorized window shades can even improve a home’s security by making it look like you’re at home when you’re actually away because all of our motors can be integrated with home automation systems. 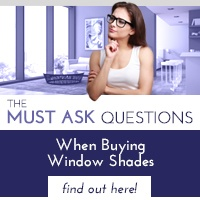 We take pride in our vast selection of window shades and awnings. We offer several different motors and control options to optimize your experience. 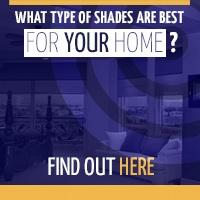 For smaller shades, choose a motor that uses a low-voltage, motor. Consider a 24V quiet motor or a 12V R28 Somfy battery-powered motor. Larger window shades do well with 110V Somfy motors, which allow for increased lifting capacity. The standard motor is a hard-wired motor. Choose from a toggle or paddle wall switch. Both options are available in either ivory or white. These motors are controlled with either the Telis Remote Control, Decoflex Wireless Wall Switch, or the newly released Somfy Smoove 1RTS wall switch. The 16-channel mode is available in silver or black. The Decoflex Wireless Wall Switch is a remote that can be mounted to the wall for radio-frequency motors. It’s available in single- or multi-channel models in black, white, or ivory. Not sure which controls would work best for your needs? Our friendly Polar Shades team is happy to help. To schedule your free in-home consultation, simply contact us at (877) 260-6110 and see the difference high quality window shades will make in your home.